Do you have a really cool looking banner but nowhere to show it? Are you a victim of banner blindness? Well, you no longer need to suffer!! This listing is very specific, so please read carefully! I will place your banner in TWO (2) different pages on my 40000+ member GPT reward website for ONE low price for one month. One banner will go on the login/register page, so it will be the FIRST thing new members see when joining my site AND the banner will also go on the main member page where all members see the offers available to them. 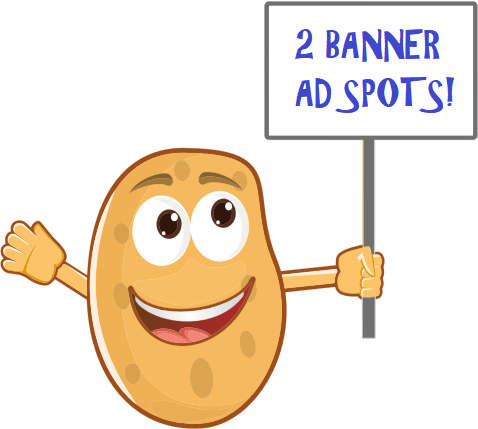 It is well known by online marketers that potential customers need to see something more than once to become interested in it, so with your banners on both pages for repeat viewing this will give you maximum exposure! NOTE: This service for banner ads is NOT measured by impressions, as it's about gaining exposure to a specific kind of MMO niche audience. If you just want 1000's of meaningless impressions, then there are lots of other sellers who provide that. However, if you have a "make money" or internet marketing link then I have the perfect audience for you. Get the right kind of exposure now! - Your banner should be to a "make money online" type of link, as that is what my site attracts are people looking to earn, so other GPT sites, PTC's, etc, work best. NOT product pages! - Your banner can be any size, but not too huge (no HPA). 728x90 works best. - Your banner will be seen by members ONLY, as it will be posted inside the logged in pages. - I cannot guarantee activity, but if you have a good MMO banner, then you should get clicks to it. Send a message if you have any questions. I will only give out the url through PM. 2 Banner Ad Spots On 40000 Member GPT Reward Site is ranked 5 out of 5. Based on 7 user reviews.